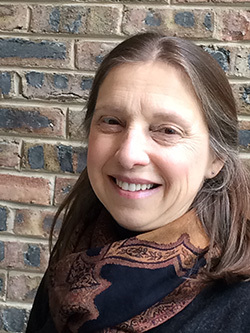 Summer camp experiences and her family’s influence set Karen Gilman, AM ’80, on her path toward the University of Chicago School of Social Service Administration and her career in social work. Gilman, a Chicago native, attended Camp Chi near the Wisconsin Dells for ten summers. As a counselor-in-training at Camp Chi during her high school years, she was a member of the social work club, a group that learned the types of activities done by social workers. She notes that her interest in social work began there and was encouraged by her family’s social and political awareness. She earned her undergraduate degree at Carleton College, where she majored in Latin American Studies. Here too her family played a role. She was influenced in her choice of major by an uncle in the Foreign Service who had postings to several Spanish-speaking countries and by the years of Spanish she had taken from middle school through high school. At Carlton, she participated in an Urban Studies program that offered an internship placement. Gilman’s was with the office of former Congressman Abner Mikva. That placement led to a summer internship at Mujeres Latinas en Accion in Chicago’s Pilsen neighborhood, where her fluency in Spanish allowed her to conduct intake interviews. She also worked with teenagers as she had at Camp Chi. “I realized that if I wanted to continue in social work, I would have to go to graduate school to develop my clinical skills, and the School of Social Service Administration was where I needed to be,” she said. When it comes to SSA, Gilman says, “I remember every class I took. It really stays with you.” She mentions Elizabeth (Betty) Butler, Rae Meltzer, and Mary Louise Somers as faculty role models, and mentions her fellow students who were gifted intellectuals as inspirations as well. She especially remembers her field placements. “My first was at Children’s Memorial hospital where my Spanish fluency allowed me to work with families who did not speak English.” Gilman found that children whose parents took advantage of support groups did better than those whose parents did not attend. She made home visits to Spanish-speaking families, and she was often on call to translate for Emergency Room staff. Gilman and her husband Michael married graduation weekend – she from SSA and he from Chicago Booth School of Business. The newlyweds headed to Los Angeles where Michael had accepted a position. Her job search involved looking at the newspaper help wanted ads. “Those were the days when you could look in the paper for a job, interview and get hired.” She began working for the United Cerebral Palsy Association of Los Angeles County, and has worked in the disability field ever since. Currently at the Exceptional Children’s Foundation Early Start, Gilman is a bi-lingual clinical social worker who works with parents of developmentally disabled children up to age three. She facilitates parent support groups, provides individual parent counseling, and trains parents for advocacy. Her work has included helping parents voice their concerns about mainstreaming developmentally disabled children into general education schools within the Los Angeles Unified School District. Her professional work dovetails with her volunteer work, which includes Shane’s Inspiration, a group that creates accessible playgrounds for disabled children, and the Special Olympics. She also is active with her temple and the board of her community. Although she is modest about her accomplishments, her work has not gone unnoticed. In October 2012, Gilman received the Social Worker of the Year Award in California from the National Association of Social Workers. At the same time she downplays her recognition, she is proud of earning her social work license five years ago. “I did not get my license before because I never wanted a private practice,” she said. After urging from colleagues, she began studying and obtained her license through continuing education. She also advises students to take advantage of all the enrichment activities they can within SSA and the great University community, and to focus on learning as much as possible.